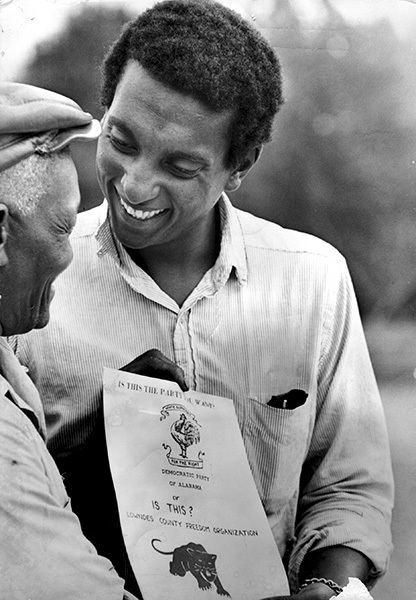 Activist Stokely Carmichael distributes literature for the Lowndes County Freedom Organization in 1966. The political party was organized in 1965 by Carmichael, who also led the Student Non-Violent Coordinating Committee from 1966-67. The organization's aims included increasing African American voter registration in Lowndes County.